May 12, 2014 By Richard Duarte & filed under All Articles, Gear, Survival. Hurricanes, tornadoes, wildfires, floods, snowstorms, volcanoes, earthquakes. And those are just some natural hazards—there are also plenty of manmade disasters waiting to ruin a perfectly good day. Truth be told, we can never really know what will come our way or how it will affect us. But given all the dangers and uncertainties in the world, it makes perfect sense to be as prepared as possible. Food, water, first aid, self-defense and security, sanitation and hygiene—these are the things that will help keep us alive during any sort of disaster. While there are certainly no guarantees in life even for the prepared, having a plan and some basic supplies will give most of us a fighting chance. Despite all the good reasons for being prepared, it is estimated that less than 1% of the U.S. population is prepared, to any significant extent, for a natural or manmade disaster. One reason (excuse) often heard from the 99% is that they don’t have the money to prepare. While it’s true that prepping can be expensive, it doesn’t need to be. We can certainly all do something within our budget and abilities. With that in mind, and for those of you who are still on the sidelines waiting until you have some extra money to get started with your preps, here are ten easy preps that will cost less than $20 each. These are significant preparations that you can start making today, even within a very limited budget. As with any purchase, don’t forget to look for sales and specials, and if possible, use coupons or take advantage of any other promotions that will help you get the best price. The most important thing is to get started. What are you waiting for? During a crisis, a high-quality manual can opener is a necessity that may determine whether you eat or not. Rice and beans are perfect survival foods. Beans are inexpensive, can feed lots of people, and are loaded with antioxidants, fiber and minerals. Combined with rice, those everyday run-of-the-mill beans provide an excellent high-quality protein source to fill you up and keep you going when you need it the most. Rice and beans store well and are easy to prepare. In my area, I can purchase a 20-pound bag of rice (on sale) for about under $10, and packages of dried beans sell for less than $1. For under $20, you can buy enough rice and beans to feed six people for well over a week. That’s about $2.85 a day to feed an entire family—not a bad deal. For long-term storage, use a five-gallon food-safe plastic pail with a Mylar liner, and a 2000cc oxygen absorber. Don’t forget to store some spices and dried herbs, salt, pepper, onions, garlic, cumin, oregano, etc. Rice and beans are perfect survival foods. Beans are inexpensive, can feed lots of people, and are loaded with antioxidants, fiber and minerals. 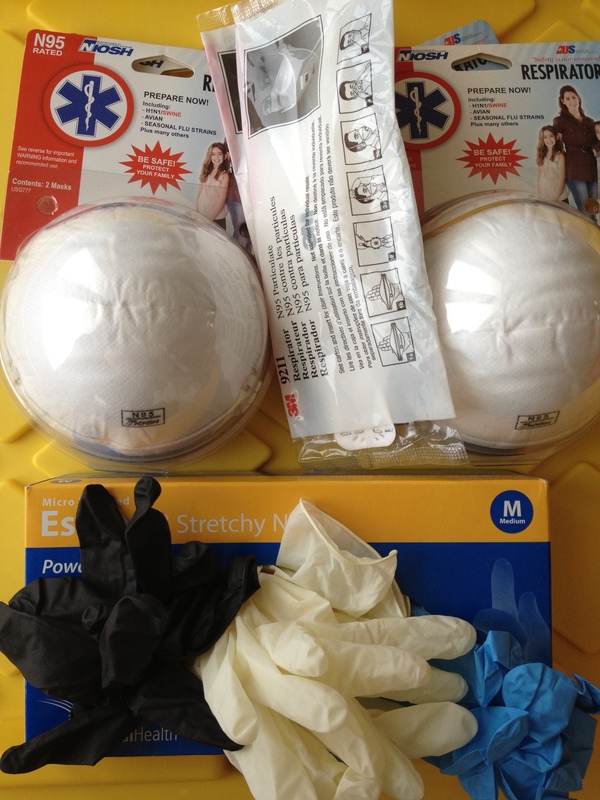 First-aid kits can be very expensive, some exceeding $100 for a very basic kit. Look at the contents and you might be surprised to find that these store-bought kits don’t contain the supplies you’ll really need during an emergency. Supply of gauze pads and bandages will serve you well and can be used for a multitude of purposes. You can never have too many bandages or gauze pads, so buy as many as you can afford. But $20 will get you off to a good start (Money-saving tip: Feminine napkins make great, and very inexpensive, emergency bandages). Five-gallon buckets have dozens of uses. They’re cheap or even free, and will be worth their weight in gold during any survival scenario. After a disaster or public emergency, water may not be flowing, sewers may not be draining, and you may find yourself having to move water, food, waste or other materials from point A to point B. Enter the five-gallon bucket. These buckets have dozens of uses. They’re inexpensive (sometimes even free) and will be worth their weight in gold during any survival scenario. From food and water storage to waste removal, these little guys are extremely useful, versatile, and in many instances vastly underestimated. 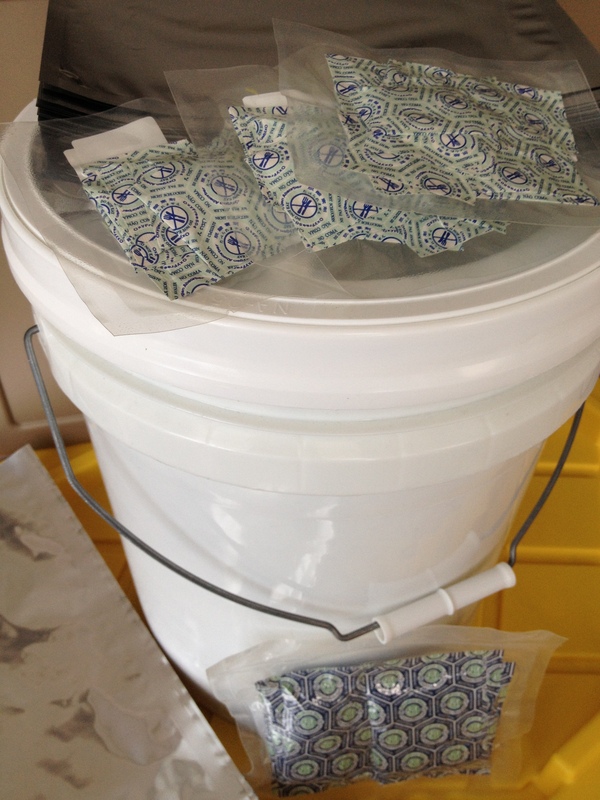 Get some Mylar bags and oxygen absorbers and use the buckets for long-term food storage. A well-thought-out survival plan will include as many of these buckets as possible. If you can find them for free, grab as many as you can. Just be careful not to store food or drinking water in any buckets that may not be food safe or that were previously used to store chemicals or other toxic materials. You can buy brand-new buckets for under $3. I found some white buckets for $2.68 at a big box home improvement store, and walked out with seven brand-new buckets for under $20. Calories, calories and more calories—during a survival situation, you need to increase your calorie intake. Calories, calories and more calories—during a survival situation, calories matter. During normal times, the average man needs about 2,000 calories per day. During a disaster, that number may jump to 5,000 or more as we may be required to engage in a great deal of physical activity, such as clearing debris, carrying large loads over long distances, and just being really stressed out. During times of high stress and physical exertion, we need calorie-dense foods to give us energy and keep us strong. Being hungry will affect the morale of any group and drive people to commit desperate acts. While many expensive food options are available, all it takes is a little imagination and some careful shopping to build up your food stores and thus ensure that you and your family won’t go hungry during a crisis. N95 masks and Nitrile gloves help reduce the possibility of transmission of infections and disease. Store them in a cool dry place and they’ll keep indefinitely. During a disaster, a small, isolated medical issue can quickly become a large, widespread problem. Staying clean and sanitary, and reducing the spread of germs and illness are top priorities. Using these inexpensive items can go a long way in preventing cross contamination and reducing the spread of infection and disease. Stock up and maintain a good supply. N95 masks help reduce the possibility of transmission of infections and disease, are disposable to prevent cross-infection, and can be worn by the patient to reduce the spread of airborne illness. Nitrile gloves are better and stronger than latex. They protect both the caregiver and the patient, are disposable and quick and easy to use. I found a box of 200 Nitrile gloves for $11 and eight quality N95 masks for $1 each. During a radiological (nuclear) event, huge amounts of radioactive iodine can be released into the atmosphere. Think of the Fukushima Daiichi nuclear disaster in 2011. Last year, the World Health Organization released a report estimating an increase in risk for specific cancers for segments of the population living in the most affected areas, including a substantially increased risk of developing thyroid cancer. The thyroid gland is the part of the body most sensitive to radioactive iodine. KI03 and KI are used for radiation protection, by saturating the body (and more importantly the thyroid) with a stable source of iodine prior to radioactive iodine exposure, thus protecting the thyroid from radiation injury. KI03 and KI are used for radiation protection. By saturating the body with a stable source of iodine prior to radioactive iodine exposure, the thyroid is protected from radiation injury. There has been what seems like endless debate over whether KI03 or KI provides more effective radiation protection. There are pros and cons on both sides, and which product you decide to use will depend on a careful consideration of all the facts. Discuss any concerns you have with your doctor before using either product. Personal and home security must always be top priorities. No amount of food, water or other preparations will make any difference if your security is compromised. Additionally, people should only take these products on the advice of public health or emergency management officials, but it is better to have and not need than need and not have. Personal and home security should always be top priorities, yet many of us neglect home security issues in our preparations and planning. No amount of food, water or other preparations will make any difference if your security is somehow compromised. Keeping safe and securing your home are a combined process of developing multiple levels of overlapping security and employing common sense. A good place to start is securing and hardening your doors and windows against intruders. A latch bolt protector will completely cover the latch area, protecting the latch bolt from prying and shimming. It’s inexpensive and easy to install, a do-it-yourself project that immediately provides improved security and protection at a minimal cost. I found a residential latch protector for about $5, and for less than $20 I protected two exterior doors. 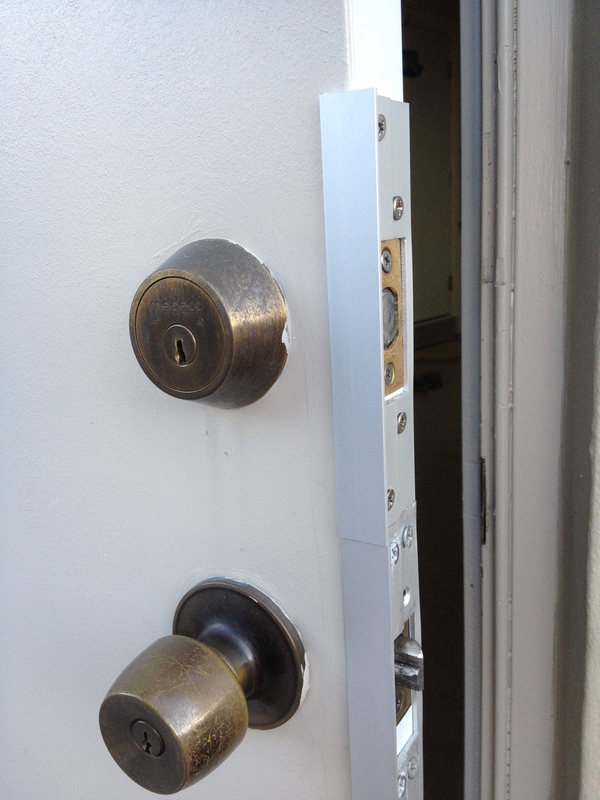 I doubled up on one door, installing two protectors (see photo). 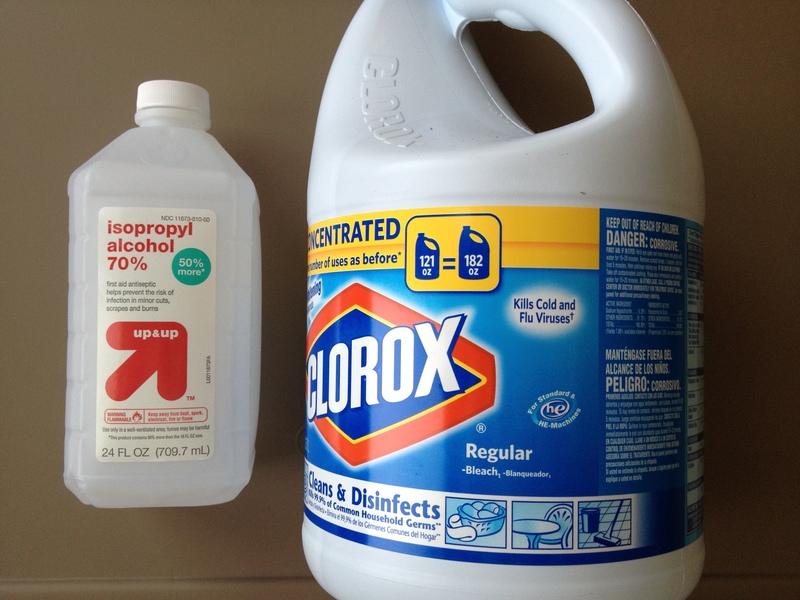 Household bleach and alcohol have innumerable uses, are inexpensive, store well, and can be used, rotated and replaced on a regular basis. Many people consider baking soda a miracle product because of how many things you can do with it. Baking soda is definitely something you want to have during a crisis—it’s inexpensive, stores well, and has hundreds of uses. It can be used as toothpaste, mouthwash, antacid, deodorant, foot soak, hand cleaner, fire extinguisher … the list goes on and on. The other miracle product is vinegar. It can treat leg cramps, headaches, muscle sprains, sinus congestion, bee stings, poison ivy, bug bites, sunburn, remove grease, and wash fruits and vegetables, among many other uses. Household Bleach: Disinfect water, wash and disinfect hands, disinfect food preparation areas and utensils (Remember to properly dilute it, as bleach is a poison). Hydrogen Peroxide: Helps keep wounds clean, mouth rinse, sinus infections, foot fungus, douche, toothache, toothpaste, etc. Mix with vinegar to make a very inexpensive non-toxic disinfectant that kills Salmonella and E. coli bacteria on food and surfaces. Isopropyl Alcohol: Disinfectant, natural de-greaser, hand sanitizer, and fire starter, it can also be used to treat mosquito bites, athlete’s foot, cold sores, and to remove ticks. It’s cheap, readily available, and stores well. For $20, you can buy two of each of these and have money left over. During a crisis, a high-quality manual can opener is not a luxury, it’s a necessity that may help determine whether or not you eat. I have tested many manual can openers, and the results have usually been very disappointing. The most common problem with manual can openers is that they don’t exert enough pressure on the can’s lid to allow the cutting wheel to bite into the metal. As a result, the cutting wheel just spins in place without opening the can. Having cans of food and no effective way of opening them is not only frustrating, but can also be dangerous if you attempt to open the cans using some other means and end up hurting yourself. You want a can opener that bites into the can and locks itself in the closed position so you don’t need to keep constant pressure on the handles. Once the unit locks in place, turn the knob until the lid is completely cut all around. Finally, release, unlock and carefully remove the lid. I found a high-quality can opener (“Lock ’n’ Lift” from Zyliss) at a local discount store for under $10. For less than $20, I bought two of them. Remember, one is none and two are one—always have a backup. Preparedness is a lifestyle and an ongoing process. While preparing can be expensive, it doesn’t need to be. Do a little at a time and always keep moving in the right direction within your budget, ability and skills.